Since 1999, Providence Childcare & Preschool has maintained our commitment to be a locally owned early education and care center serving the community by caring for children from infancy to school-age. We have employed the practice of self-evaluation and adaptation through the years to ensure the focus remains on what the children in our community need to ensure their academic success in the future—this in keeping with national and state early childhood standards and best practices. Our mission is to provide a safe, nurturing, child-centered environment in which highly skilled teachers and caregivers facilitate the development of the whole child to create a strong foundation and enthusiasm for learning for each child in our care. We provide a strong bridge from the early learning classroom to the home supporting the evidence that family involvement promotes success for every child of every age. The Child: The lifetime process of understanding the world around us begins at birth. 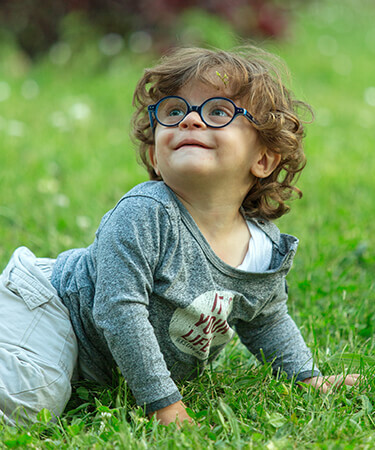 We recognize that children differ in their cultural, linguistic and socioeconomic backgrounds as well as their abilities, learning styles and maturation in the areas of cognitive, physical, social and emotional growth. Each child’s unique gifts are to be nurtured, challenged and expanded in their journey with us. The Teacher: The teacher-child relationship is critical for successful learning and social development. Teachers are nurturers, guides and facilitators. Teachers ensure the environment is developmentally appropriate and prepared daily to facilitate observing children’s understanding, answering their questions, introducing new ideas and words, and suggesting ways to extend activities. They understand a child’s level of development and employ ways to extend their learning through loving and supportive interactions. The Environment: The environment is rich in materials and opportunities to converse, socialize, work, play and negotiate with others. 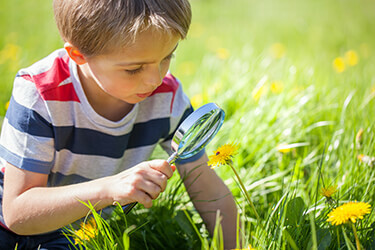 The classroom—outdoor and indoor—is rich and stimulating to encourage curiosity, exploration and problem solving. The atmosphere is one of warmth, affection and respect for each child. The Learning Process: Children acquire knowledge through investigative and playful interactions with the physical and social world. Purposeful play-based learning allows children to investigate, ask questions, solve problems, and engage in critical thinking. Constructive and purposeful play allows each child to actively construct, challenge, and expand their own understandings and make connections related to their prior experiences. The Connections: Children develop in an interconnected system consisting of the home, the community and the early care and education center. Establishing and maintaining positive relationships within these systems provides opportunity to support children’s enthusiasm for and engagement in learning today and the many tomorrows to come. The Evidence: What a child knows and can do drives the planning of appropriate learning experiences and ensures that each child reaches their potential. Observations of children in the context of everyday experiences is the most effective way to gain insight into each child’s developmental abilities. In partnership with the family, assessments and screenings are used to support effective teaching and each child’s development and learning.